This is the final list of band members who are taking the 7:00 bus back to FHS for the dance. As of 3:00 today, I would like it to be frozen. Please see me before then if there are any additions or subtractions. 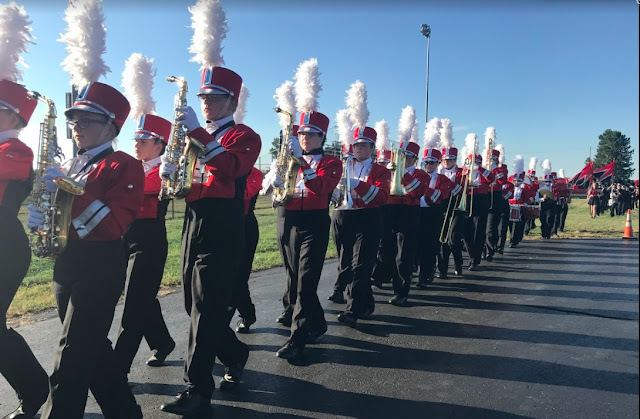 Band members are reminded that you are to hang your uniform in the uniform room and put your instrument away when you get back to FHS (sousaphones and percussion instruments excluded). Drew, Robin, Moriah, Emma, Jessica P., Aaron, Cassie, Amanda, Melissa, Sarah F., Jessica H., Kaleigh, Colene, and Jordan.